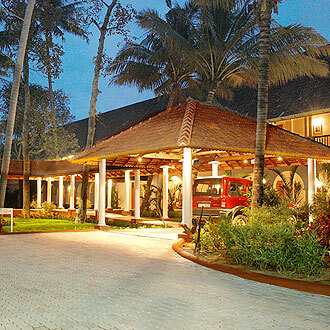 This contemporary resort is set at the very edge of Vembanad Lake with a magnificent view of the calm backwaters. This luxuries site offers the world class amenities to comforts the guest. It as well offers well efficient hospitality. The Citrus Cafe Coffee Shop serves Indian, European, and American and Pan-Asian cuisine to its diners. Guests can avail the therapeutic treatments, present at the Ayurveda spa center, offering overall wellness.